Are you considering joining affiliate marketing and making it work for you? This easy-to-understand affiliate marketing guide will help you get started. 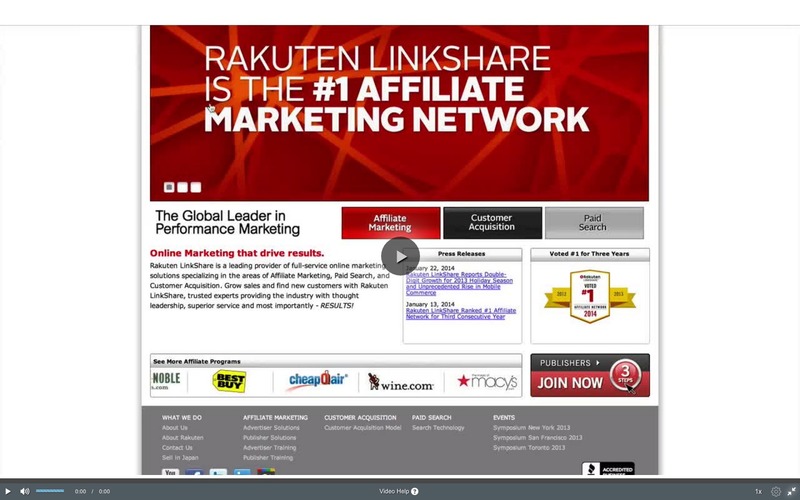 For more information, check out the affiliate marketing guide for beginners video series. 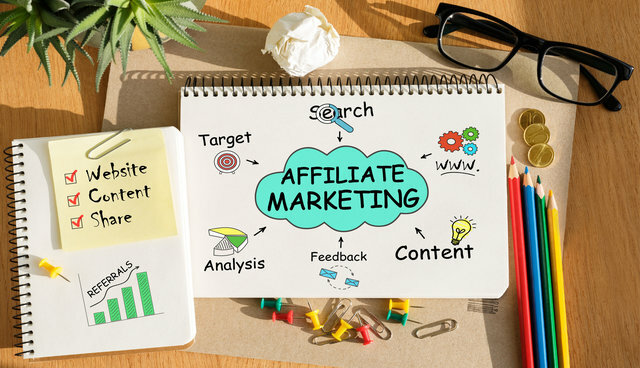 First off, what is affiliate marketing? Affiliate marketing is selling other people’s products or services online in return for a commission for finding them, new customers. Many of the world’s largest brands have affiliate programs such as Amazon, eBay, and Virgin. You simply need to choose products or services you like and have purchased and then sign up to the retailer’s affiliate program. Reach out to us if you’re looking for online affiliate marketing training programs. When you sign up, you will get a unique ID and referral link which you can then share with others. The best ways of sharing the link are creating a website and writing reviews or promoting products on social media like Facebook or Instagram. Every time someone clicks on your affiliate link and purchases, you get paid commission between 5% and 50%. Here is an affiliate marketing guide to help you get started. This means doing more than what most lazy affiliates do. 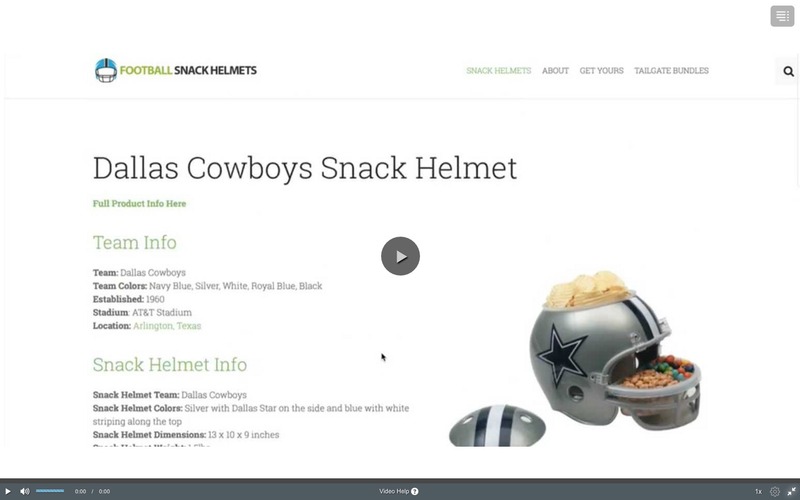 All they do is focus on sending traffic straight over to the product creators’ lead capture page or sales page. This will not work very well for you because all of the other reps or affiliates are trying to do the same thing. You have to do something that sets you apart. When you create an in-between like a blog post or write an article where you answer some questions for people, provide some value or help them solve a problem, you increase the probability of them purchasing a particular product or program. You need to do a little more than just send traffic and creating an in-between like this can really help you to do that. Buy the product yourself and review it. A great way to do this, especially if it’s an information product is to do a behind-the-scenes like a screen sharing view. What this does is, it gives you credibility, because it shows people that you actually own the product. You will sell things way more effectively when you buy the product yourself, you believe in it, use it and get results with it. Then, you can transfer that belief much more effectively to other people. 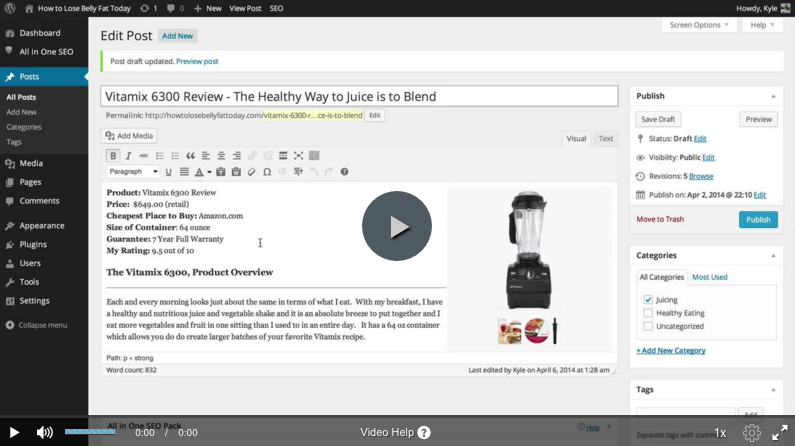 You can do a comparison blog, article or video between your product and a similar product. You could also be an affiliate for both products. Many people are out there want to know how one product or program is different from another. You have to do a genuine review, and you can’t cut down one program or another, just compare how different the two are. You need to give people a reason or an incentive to want to buy from you over all of the other people. Your bonuses could be something simple or something of value like a product or an extra blog post hidden on your website that you give away for free. There are a lot of things you can do to give away extra value. This basically gives people an extra incentive to want to buy from you over all of the other people out there. Most affiliates are just sending traffic straight over to the product creator sales page, and they’re bypassing their personal brand. This traffic is not getting to know them at all. 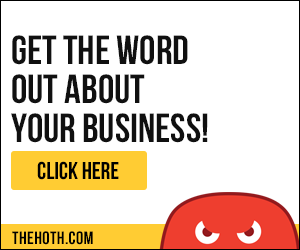 Get your traffic to know you first, because your business is not the affiliate products. You need to create a relationship with your audience. Get more focused when promoting affiliate products on building your own list first. If they don’t want a particular affiliate product today, they may buy another product from you later. It takes time and effort to get things prepared and working with affiliate marketing. However, when you get it right, it can be a great way to earn ongoing residual income, earning money for you, night and day, even while you sleep or go on holiday. Click here to learn how to make money as an affiliate marketer. This affiliate marketing guide is going to help you to maximize your profitability and help you make more money with affiliate sales. Previous Post:How Do You Make Money on Instagram? Next Post:Startup Checklist: Are You Ready to be an Entrepreneur? Wow, this is very insightful information in this article. I like the fact that it diligently addresses all the pros of making money online and the fact that the consequences are being addressed too. The one that stood out the most to me was the one that said you shouldn’t just send traffic to the affiliate products directly. This is a really helpful affiliate marketing guide that will help me make more money online. Nice job here. Thank you. I’m glad this article was able to help! Last week, I made my first affiliate commission of $30, it was such a magical moment in my life. The commission is so small, but it is a testimony to results that I can have if I put in more efforts.You’ve summarized what affiliate marketing is in this post.How do you suggest that I use extra blog post as free give away? Congratulations on your sale! Getting that first commission is always exciting. It proves to you the system works. To answer your question. How do I suggest you use extra blog post as free giveaways? Well, if you have something free to give away, start telling people about it. Not sure what you have free, but we have a free membership to our free online entrepreneur courses and I try to tell people about it in every blog or video post I do. I talk about this a lot in the video series. Please check it out when you get a chance. I think the one on attraction marketing will help. Affiliate marketing has really opened up new opportunities I did not know existed. Your guide for beginners would have been nice to have when I first started but it helped clarify some things for me too. Thanks for sharing it. I like your last sentence : Turn your passion into profit. If you do what you love, you will never work a day in your life, right? Hello – I enjoyed navigating through your site – it is so clean and crisp and easy to use, really well done. I have seen this concept covered many many times and yet your approach makes it more understandable to the newcomer and provides the information necessary to make a move. I am going to follow you because I feel you have much to offer. Thank You. I really appreciate that! Thank you!!! I’m thrilled. I loved it. I was actually looking to find something like that. Affiliate marketing isn’t easy. I’m learning that you have toinvest a lot of energy, effort, and testing into this before anything works for you. It’s quite a process. And your guest post is surely a lightning rod. Thank you so much! 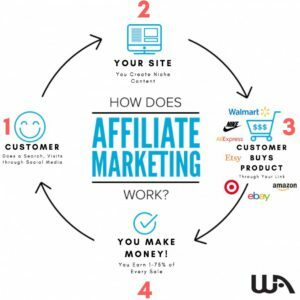 Great overview of what affiliate marketing is, this is a solid guide for people to follow! Not only have you explained what affiliate marketing is, but you have outlined a couple of things that a LOT of affiliate marketers do wrong. The first one is having an in-between, such as a blog post or review. This is going to get you far greater results than sending people straight to the offer. I call this the “value-add” that will make you stand out from all of the other affiliates out there! These are just two simple things that will make you stand out from the majority of affiliates.